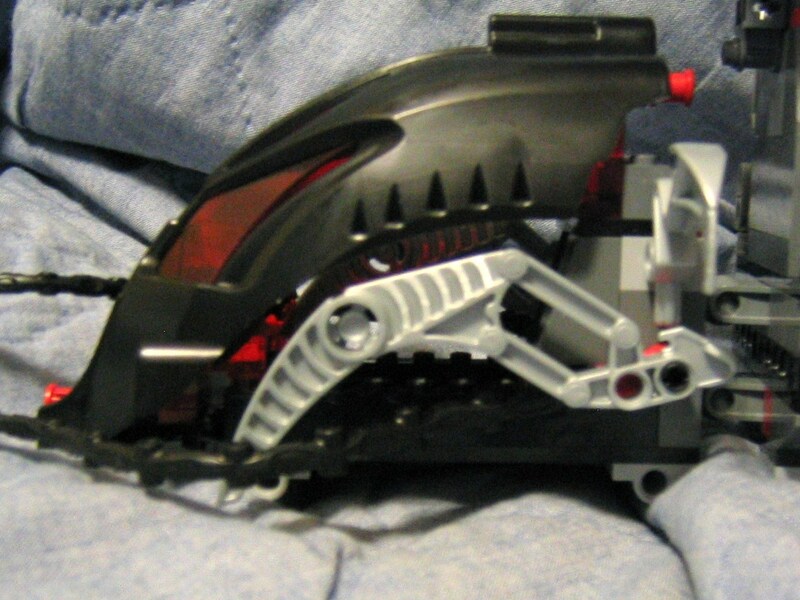 The Toa Terrain Crawler, per my opinion, is the best of the playsets for the BIONICLE line this year. 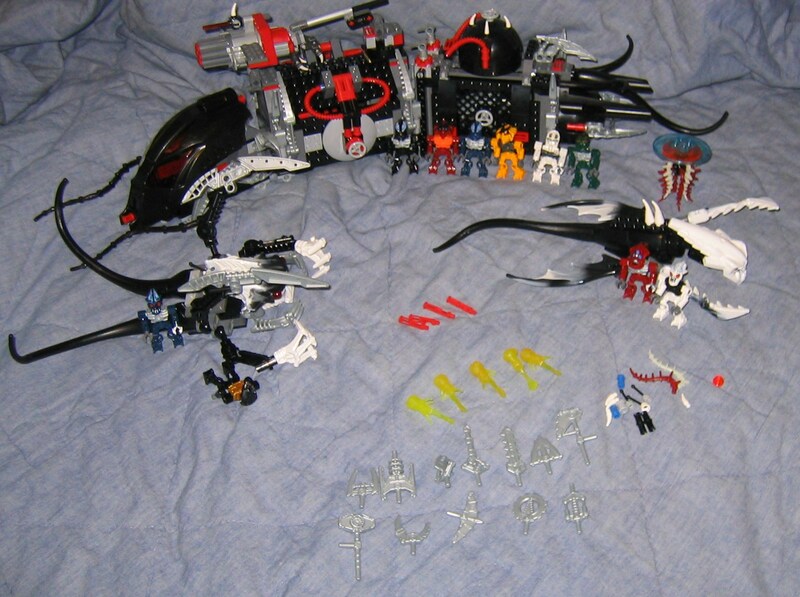 Ever since I got to see the actual prototype it's been up high on my list of sets I wanted to get. 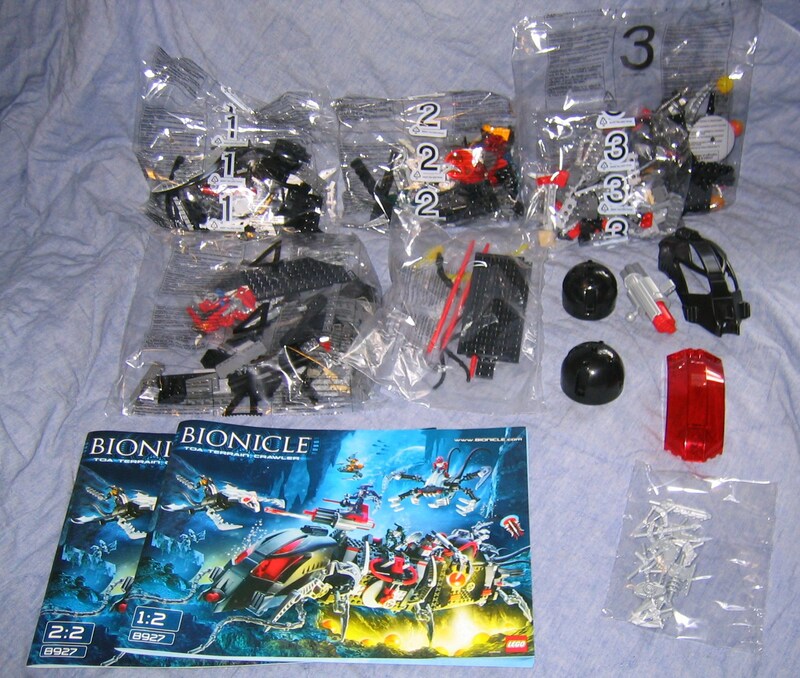 I was at my local Toys R Us the other day expecting to find the Toa Mahri, but the three playsets and Gadunka were the only new BIONICLE® sets on the shelves. 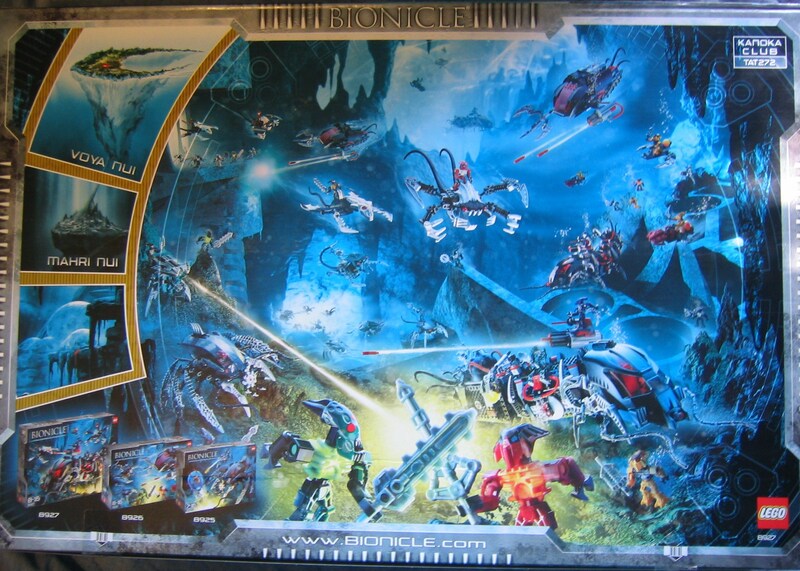 I think Maxilos and Spinax, as well as Hydraxon, must have already sold out by the time I got there, being the cooler of the new titans. 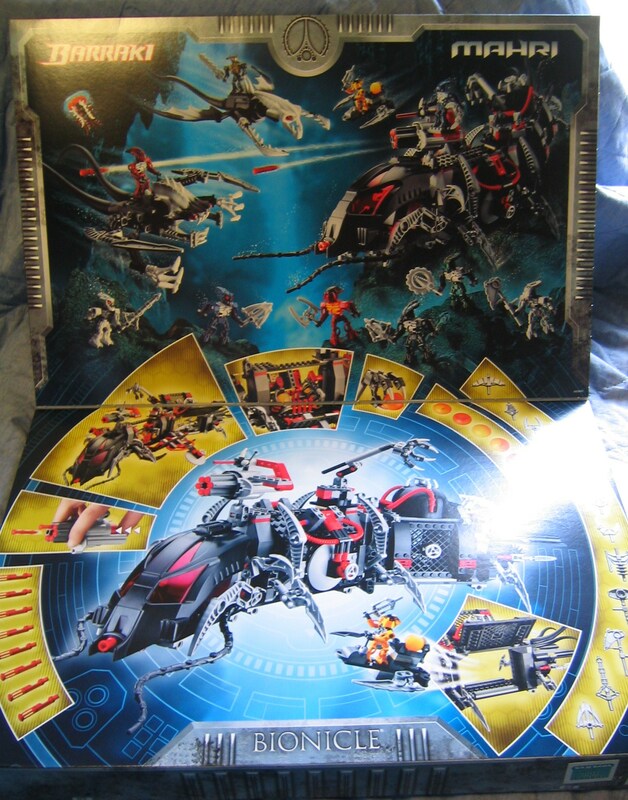 I still had to resist the urge to buy Gadunka since he's on backorder on my LEGO® S&H purchase with hydraxon, but having put off buying any of the playsets online, they were fare game. 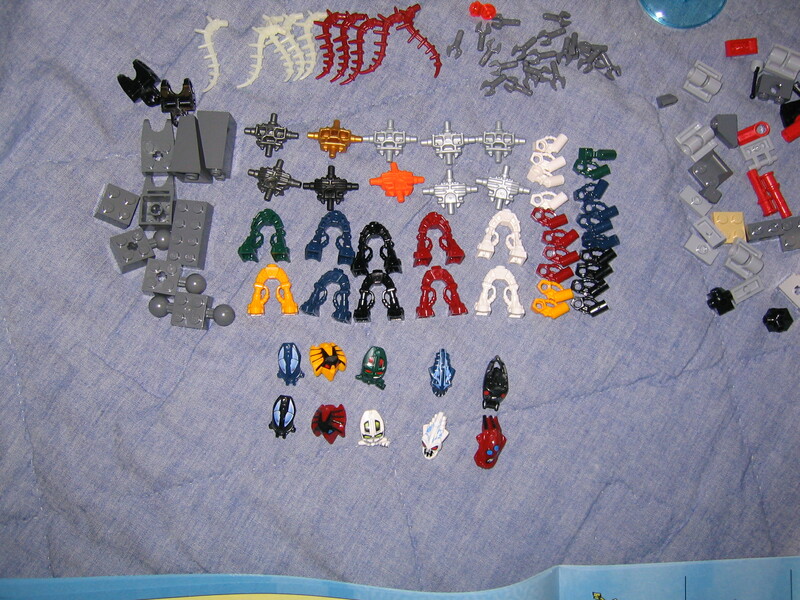 Well, the minifigures are a bit of a let down, specifically, several of the heads are reused in different colors. 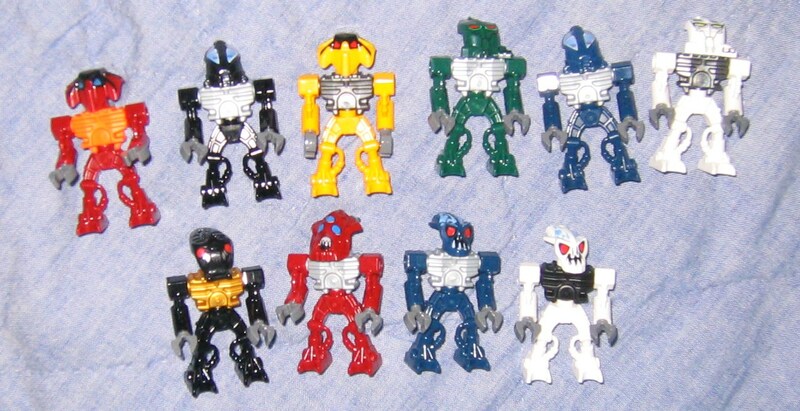 Last year each Toa and Piraka got their own heads, this is a downgrade, and it makes it difficult to tell who's who. 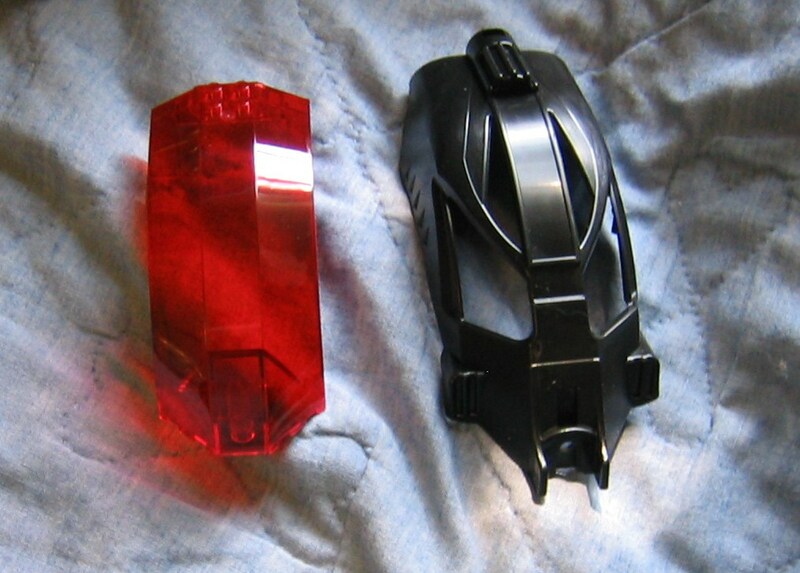 The heads do match their respective character very well when it?s not used on someone else as a corner cut part. 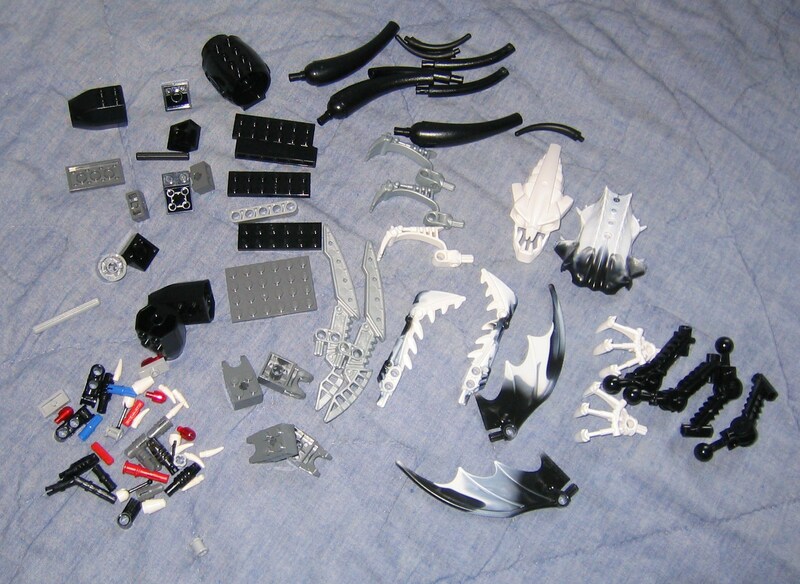 I think we get 6 Toa and 4 Barraki, I say think because with the re used parts it?s a bit tricky. Besides the new heads we get a new style of arm, which I think I like better, but nothing else is new, not even the tools, those are being recycled from last year. Something I've only now noticed, despite the same torsos being used from previous years you have some gaps that you can wedge up to three tools into or possibly some other stuff. 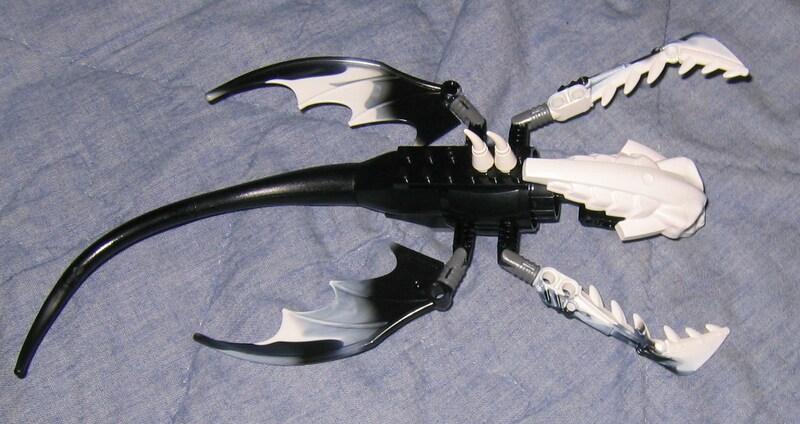 If you want to holster the longer tools on it's back you may consider finding an extra claw like the one that makes up the minifigures hands and plug that into his back, and then add the sword that so it doesn?t stand out at an odd angle. 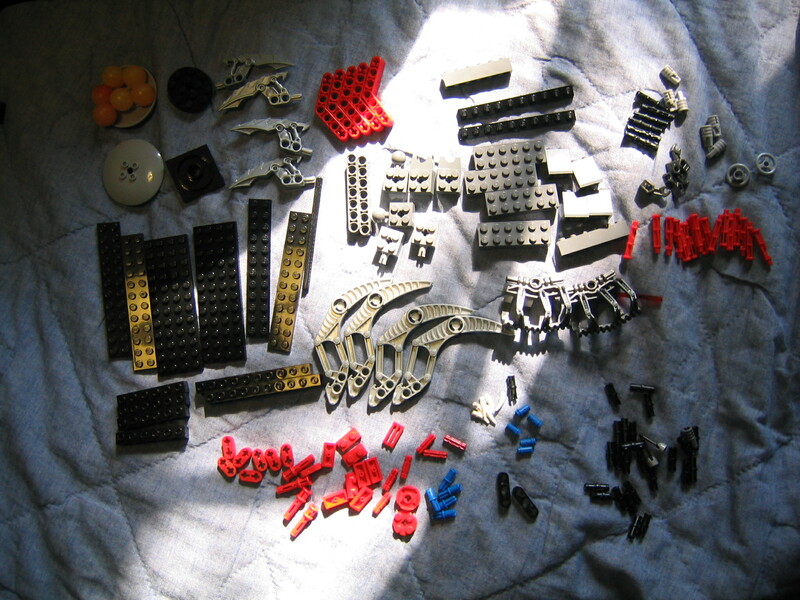 Those of you who aren?t familiar with the previous years minifigures, you assemble them from smaller parts, and they twist at the waist rather than bending at the legs. 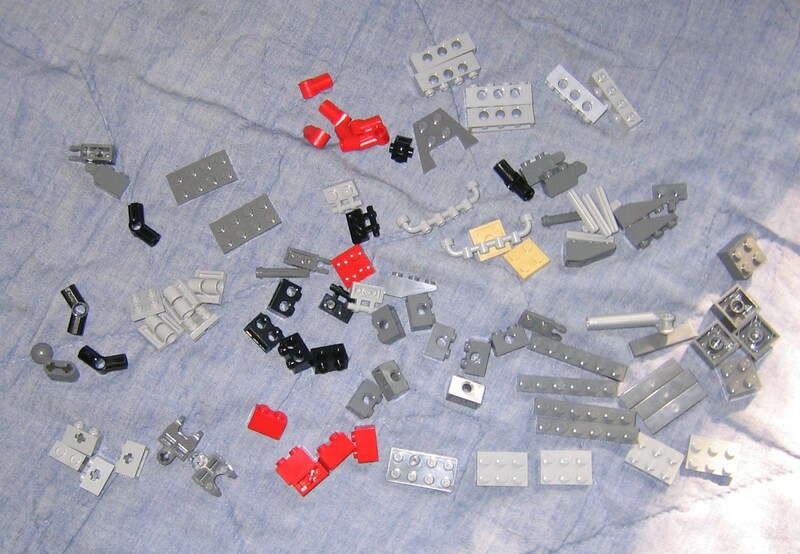 The legs stand across three studs so they often need more room to plug into or stand on studded surfaces. 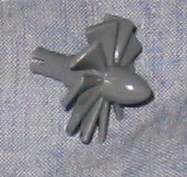 We get five squid ammo with this set, not to be used as ammo but as other elements to play with, then we have a simple jellyfish, with two pairs of four tentacles plugged into a one stud port with four plugs, using the spines from the piraka minifigures, and two transparent disks on top to make the creature. 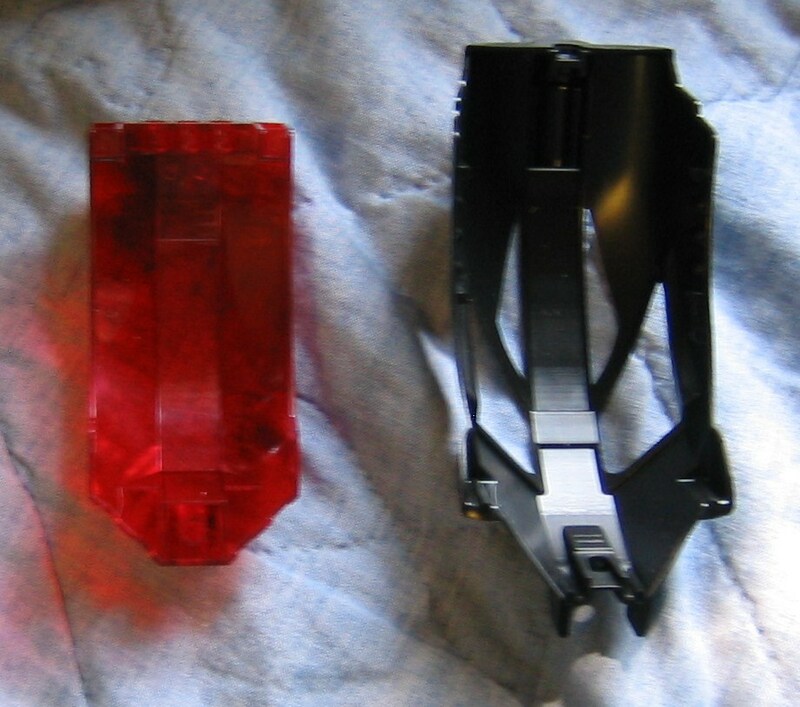 A black light will supercharge the four top glows in the dark tentacles while illuminating the transparent disks, as well as a lot of older transparent BIONICLE parts, so investing twenty dollars into a black light may be worthwhile. Next up we have two strange sea creatures that I strongly dislike. I don?t mind the new barraki skulls, but they don?t match the rest of the creature, which looks too clunky to be an actual sea creature. 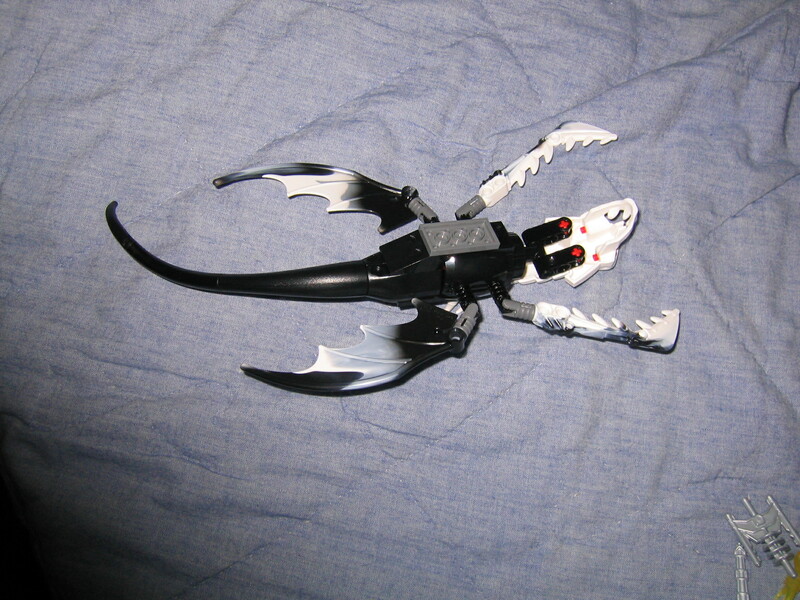 But without SOMETHING the Barraki would be up against a heavily armed transport and six Toa on their own. This vehicle is comprised of three main parts, the control centre, the armoury, and the...garage I guess? A more storyline based version can be explored on www.bioniclestory.com. 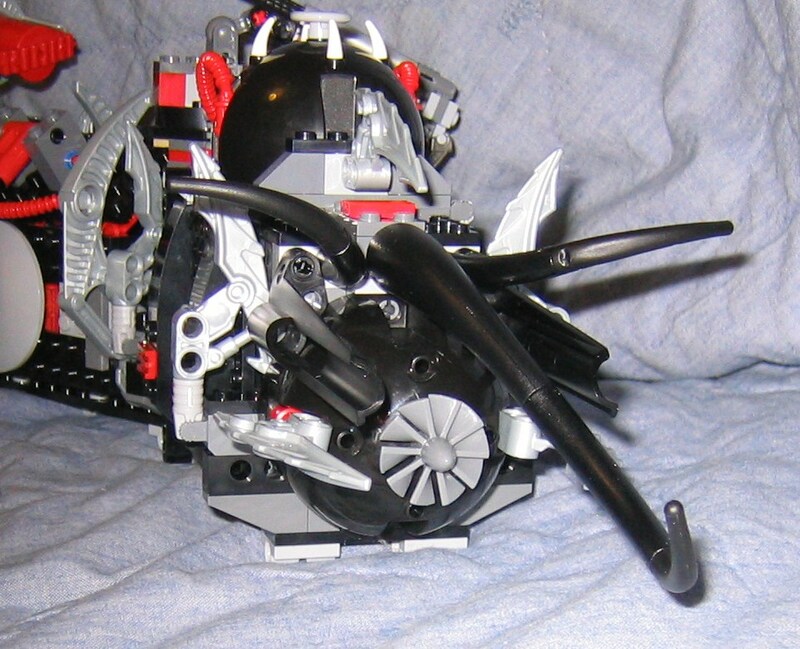 The cockpit is simple, a section with a lid, the lid being the giant kanohi mask with the red visor attached. 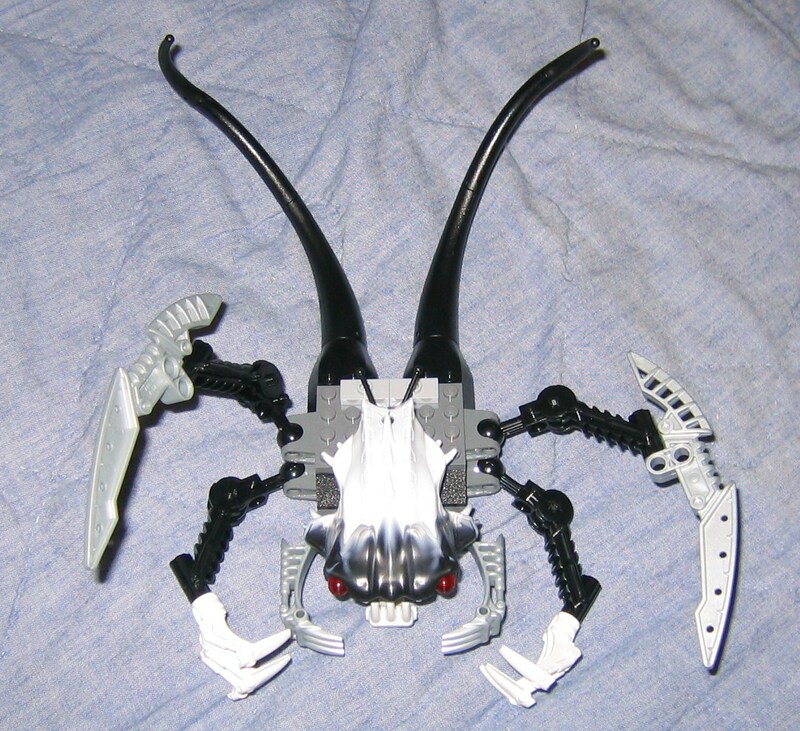 There are two antennae extending out from the side along with two Sukorak mandibles which are either front leg for the crawler or the door into the control room, either way they help cover a gap in the side. Lifting up the mandibles allows you to squeeze a figure inside, where you can attempt the tricky task of plugging the miniature into the floor through the side opening, on the other hand while the control room doesn?t hinge open for you to access it, I think it was designed so you could just pop it off, plug the pilots in, and pop the roof back on again. 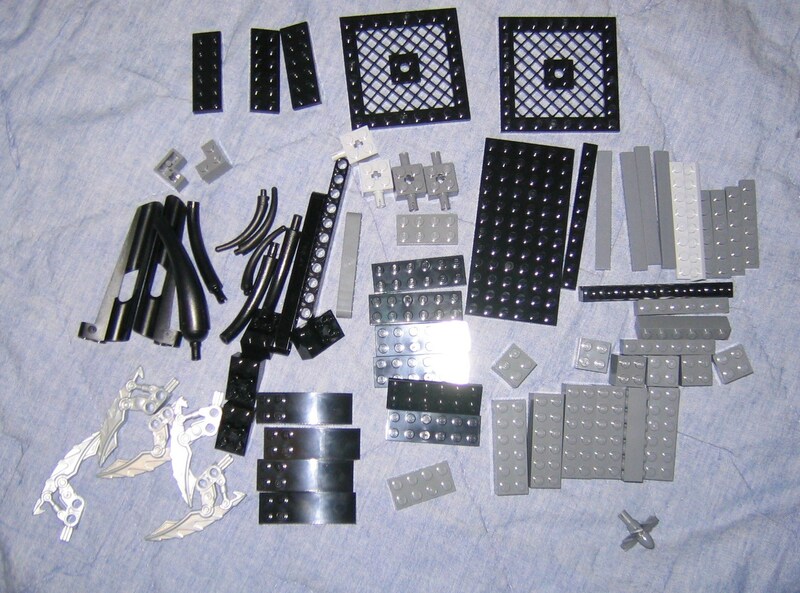 It specifically has room for two figures and has a pair of pegs to stand them evenly in the middle with their three stud stance; with a big enough gap behind them that there could have been a toolbox or something there, and maybe even some bricks with graphics for a control panel. 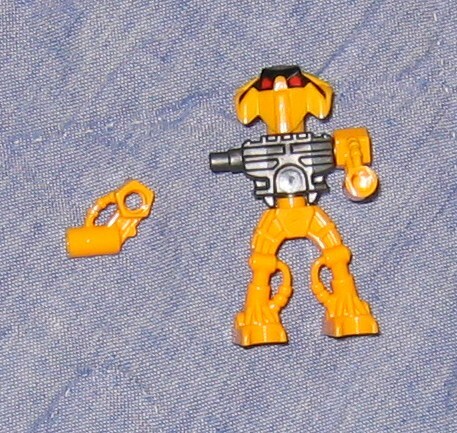 The Armoury has the majority of features, towards the front, a Cordak blaster with a spot for a minifigure to stand. The stand is attached to an angled red technic bar from a friction peg, and rests on a ridge on the cordak to keep it from dumping the seated Toa. Towards the back a sort of clawed crane on a turntable sits, the claws are a bit difficult to work with, and sometimes it's easy to pop off a pair of claws, but they work pretty well for grabbing various objects, or capturing Barraki. The crane can extend outwards a bit since it's mounted on a piston. You can push it from the back to extend it further, and push it from the front to retract it. While the turntable lets the claw move horizontally, it?s plugged into the turntable by a socket and hordika neck, allowing you to get a variety of different angles with the claw. 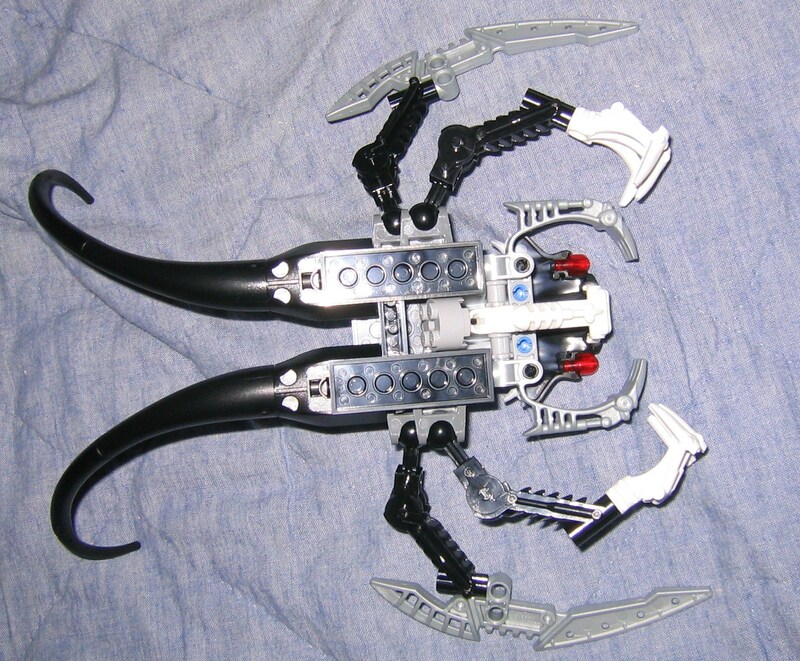 The placement of the claw is also quite convenient for the set itself, if it were alive; it could open the side door, grab some cordak ammo and reload it. The armoury chamber seems to have a window and a door, lifting the circular cover on the arm reveals the window opening but it doesn?t serve any other purpose, but at least it's something interesting and the way it's built adds to the set's design and colorscheme. Inside the armoury we have two racks for cordak ammo, and two clips for holding zamor spheres, or their name for the Mahri series, solidified air spheres or something like that. 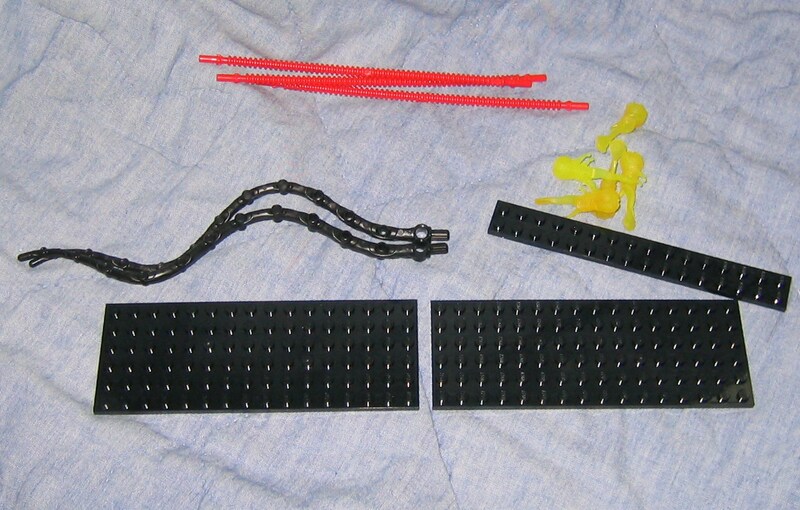 The clips swivel on a couple friction pegs to neatly fold into the armoury for storage. 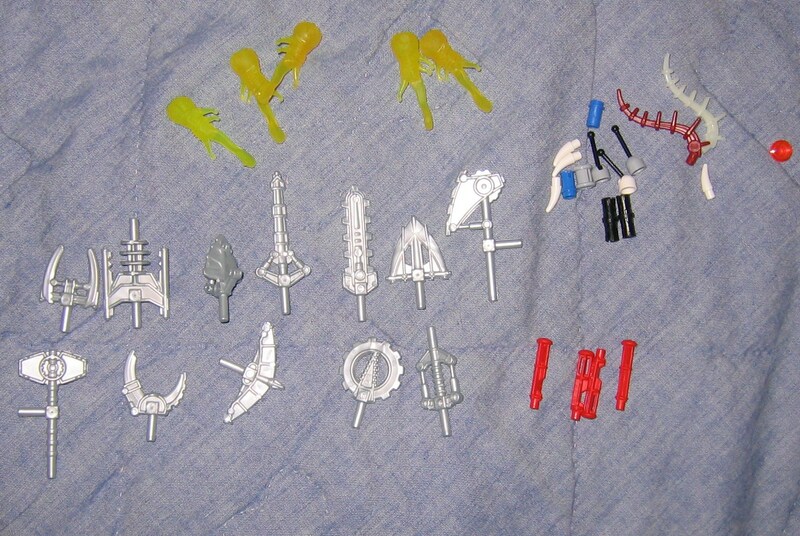 They must serve some purpose to collect in the story, there?s no mechanism to actually fire these yet the three playsets each come with them. The zamor clips have a sort of lid on one side with an open end on the other. 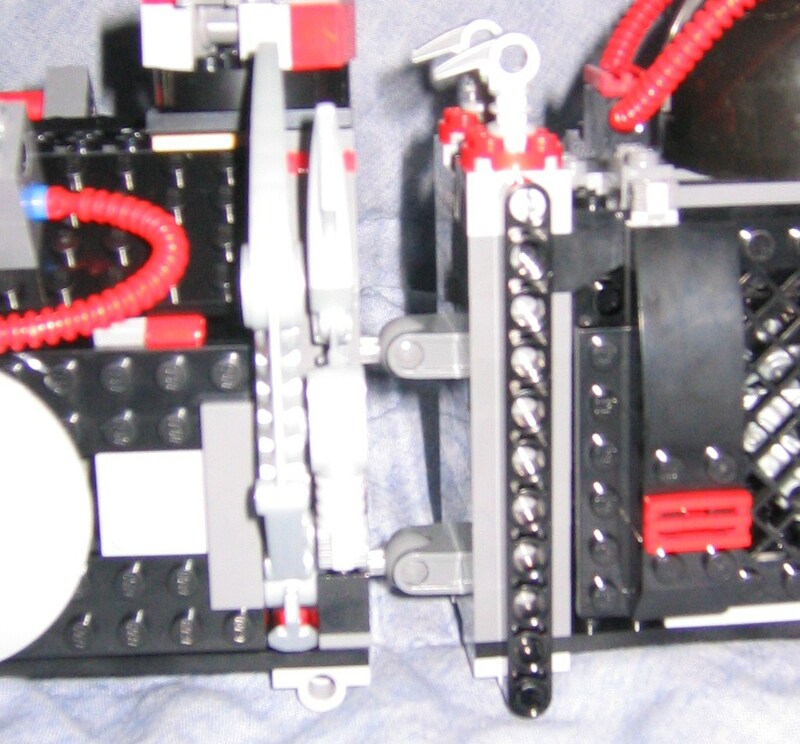 One open end allows for easier access to the spheres in the cramped space, but the spheres tend to fall out. We still have plenty of space with the two sets of storage racks, we could fit at least one minifigure in amongst the stored items, but I think the unused space should have been used to store the extra tools when not in use, perhaps from a center wall or a rack hanging from the ceiling. Something I found odd at first, two clips with a bar are attached to the top (the same clips that the claws on the crane attach to), I had no idea what they were for at first but they seem to click the doors in place at the top and keep gravity from pulling the doors open. The garage is the largest section counting the engine stuff on the back, and while the armoury hinges open from the bottom the garage opens from hinges that click into place at the top. 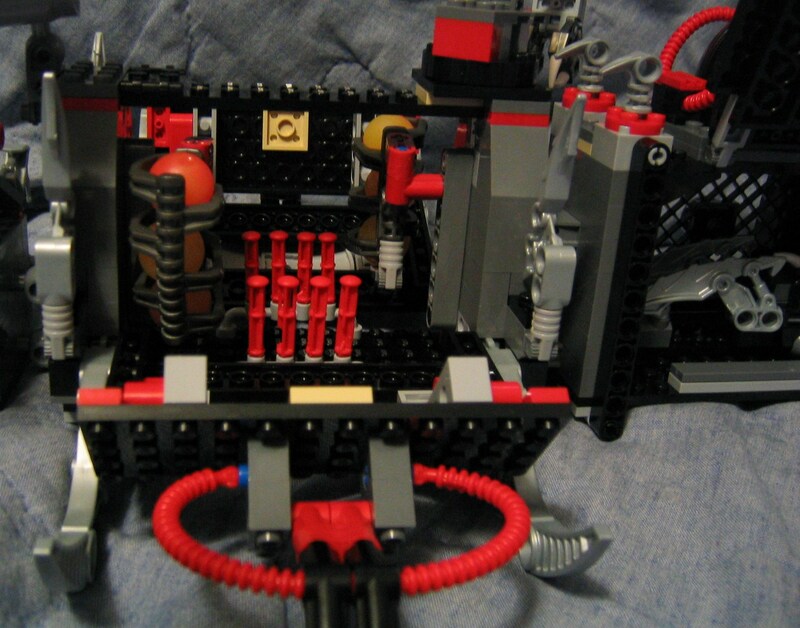 Inside the toa's mini vehicle is stored here and has two blades that flip out on sockets, with a clawed finger and some slanted studs to hold a sphere in place for transport. 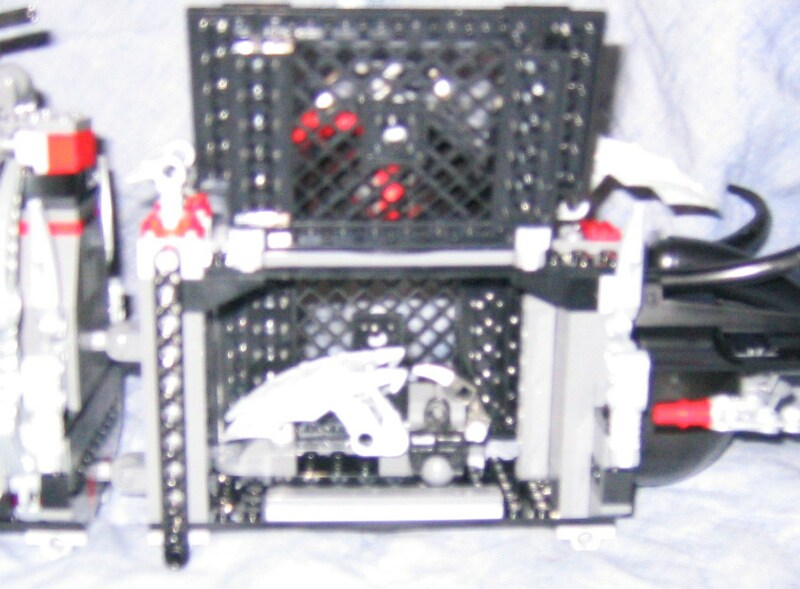 It barely takes up a half of the space, so we could have fit a more complex vehicle inside, and maybe some other items, but when it is removed we have enough room to store the four Toa while the other two pilot the front chamber with the mini vehicle up top held in place by the crane. The backside of the garage has a propeller and a series of rudders for steering. I imagine the tentacles may be part of the propulsion system to aid the propeller, if not just there just for show and to make the back end more interesting and to round it off. They can be twisted into a variety of angles depending on the look you want to give them. The top section of the garage seems to serve no purpose except as decoration, if it had been on some sort of hinge there is enough room for storage in the pod. It appears to be some sort of pressurized air or fuel chamber so in that case a hinge wouldn?t be realistic to the design. You may also find I interesting that the steering wheel part can be turned, but it does nothing. 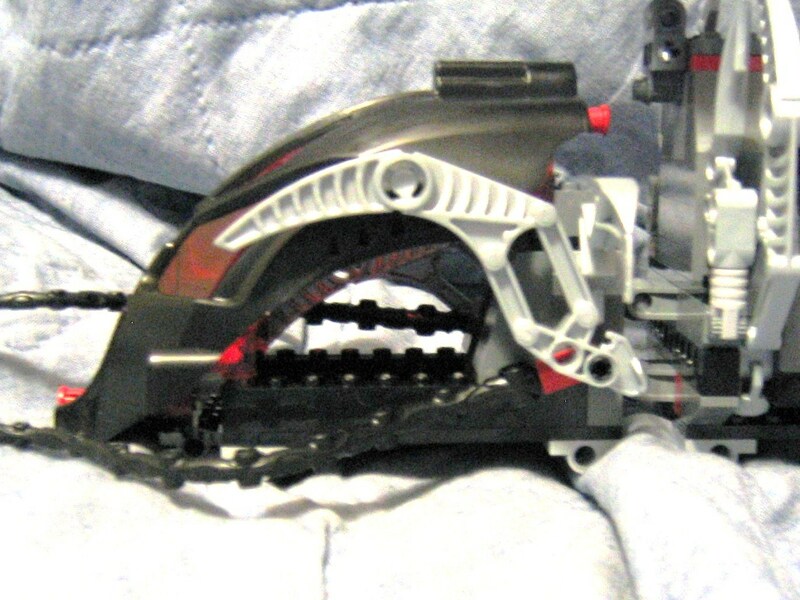 The Terrain Crawler doesn?t have any wheels, but instead some rounded parts on the bottom to support the weight and allow it to slide easily. 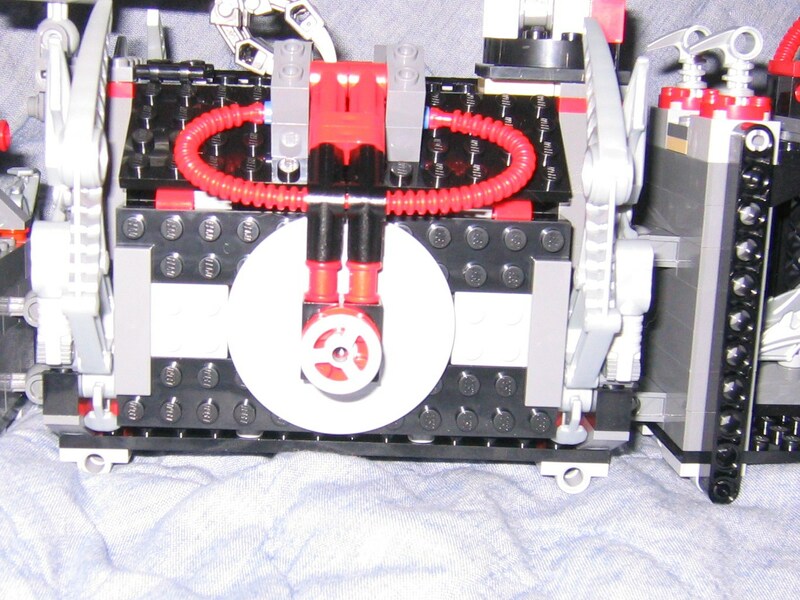 Since the part that makes it slide easier is also a sort of axel plug, you could probably add a pair of wheels to the underside with the right parts to enable it to roll. The armoury has four claws and the garage behind it has two more, these flip out from an out of the way place to look like legs that the crawler can crawl on. 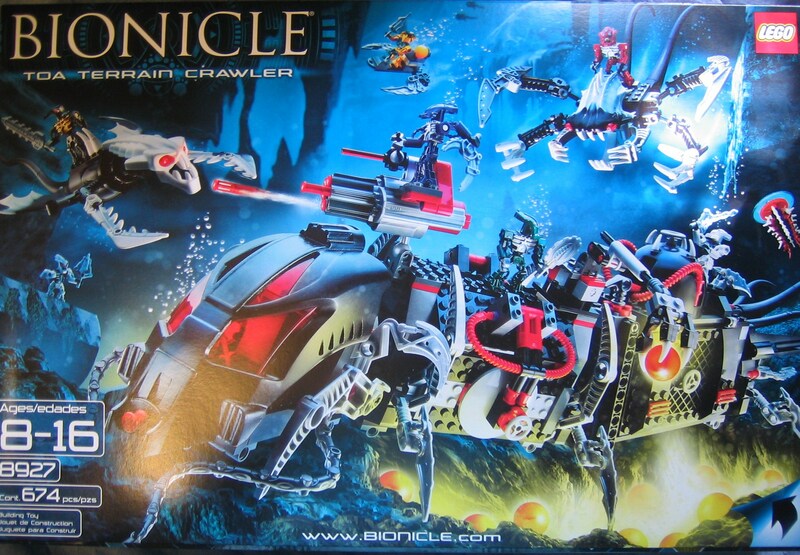 Looking at the animated version in the online website, they legs seem to fold up while it's travelling through the water submarine style, and flip down to pull it across the sea bed once it hits the bottom. 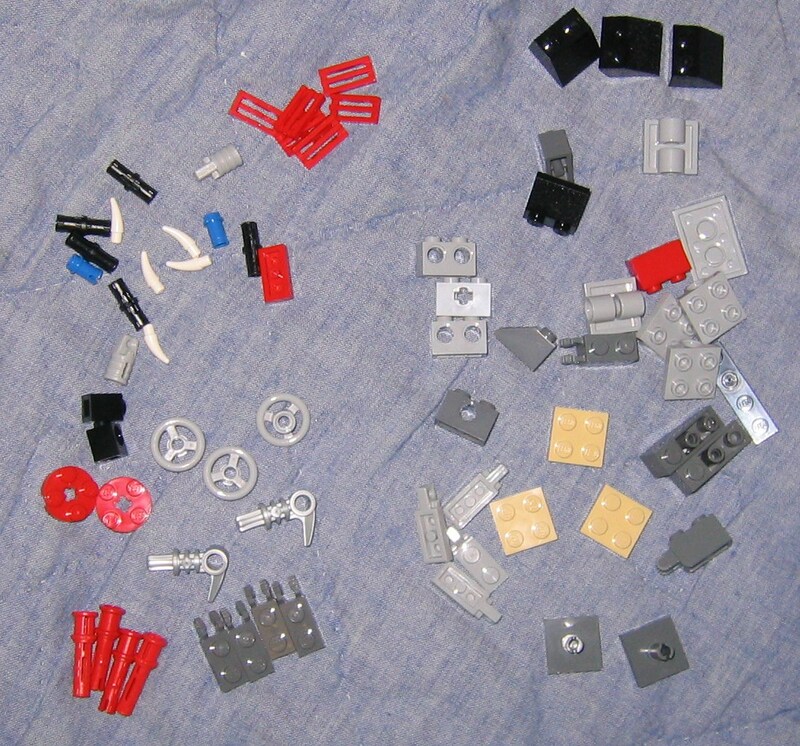 The three sections are connected by two pairs of the ball and socket bricks. It cannot swivel up and down but the sections can swivel left to right a few degrees, which is a nice touch rather than being one long box. 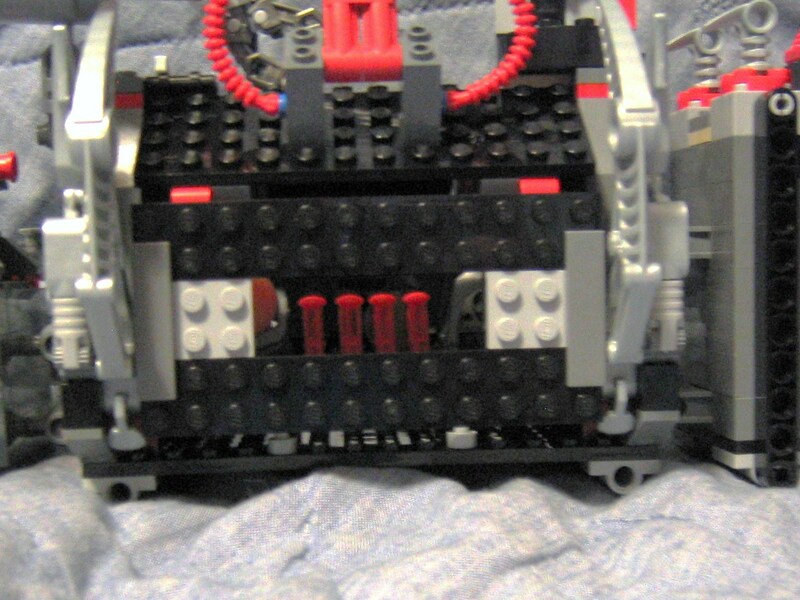 These sockets hold the sections together pretty well, you could hold the crawler from only the back end and the front sections won?t pop off but the leverage and lower positioned sockets between the cockpit and armoury mean it will pop out of the socket and fall down when lifting it only by the front end. While everythings not perfectly sturdy many of the larger sets are now using technic bars attached to the top and bottom bricks to keep everything sandwhiched between in place. The armory has two support bars inside while the garage has it's support bars on the outside wall to make more room inside that section. For the price it's not a huge set, but it is pretty big. 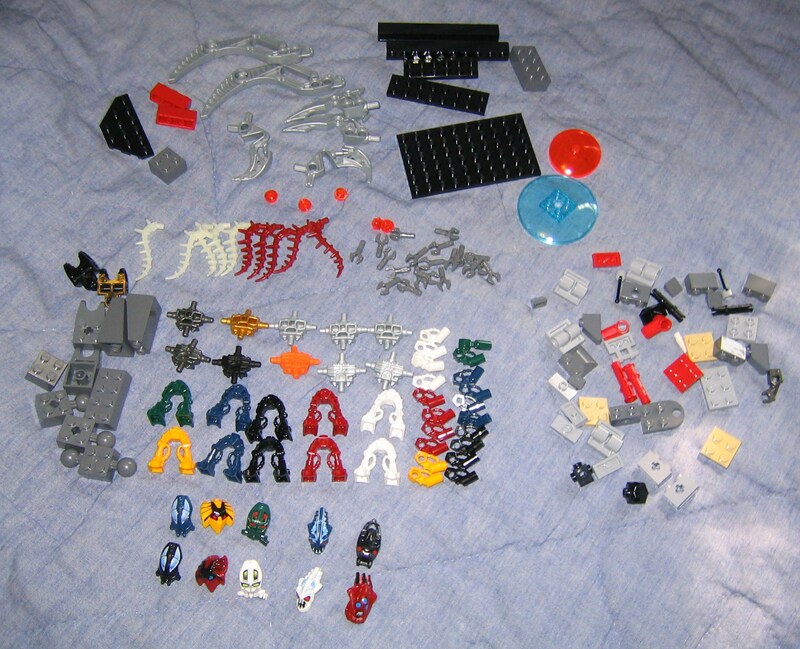 I'd say the total space taken up was about as wide as two toa metru canisters put together. 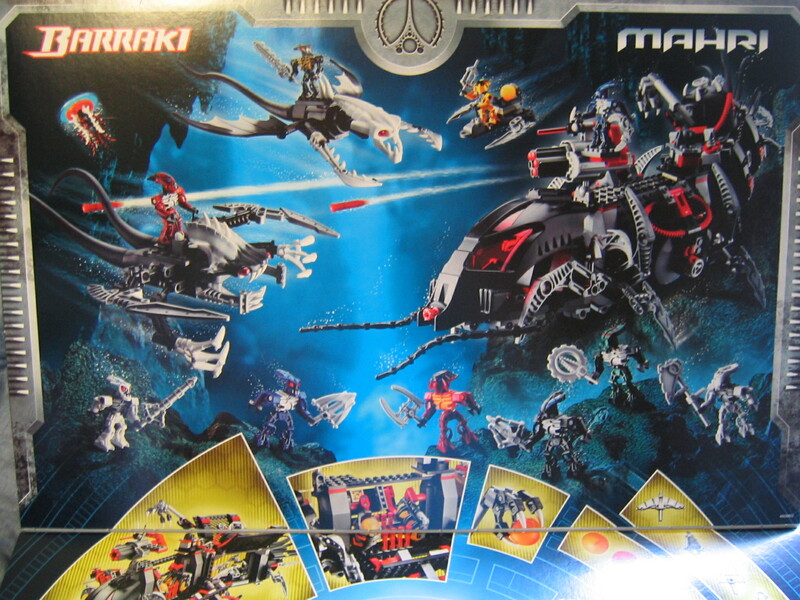 Compared to other playsets around the same price range it seems kinda small, and personally I would sacrifice the sea creatures, the jellyfish, and other stuff just to knock another ten bucks off the price since they aren?t all that interesting, but as I said the barraki needed something on their side and a playset with all this stuff needs something to shoot at. Personally I do still like it more than I hate it, and it makes a great set to play with and to display on a shelf. 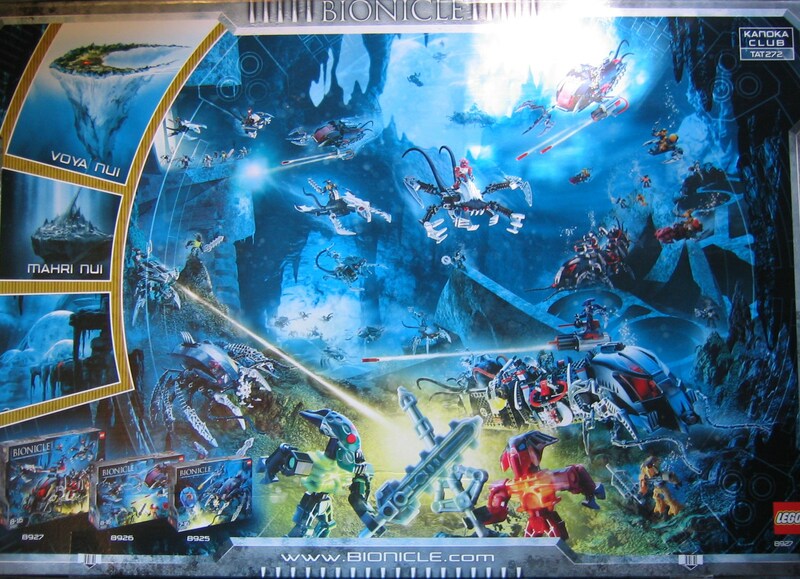 I would suggest that unless you specifically like this set enough to buy it at full price (like myself) that you might want to put off buying any playsets and focus on the titans and toa Mahri figures and wait until this goes on sale. 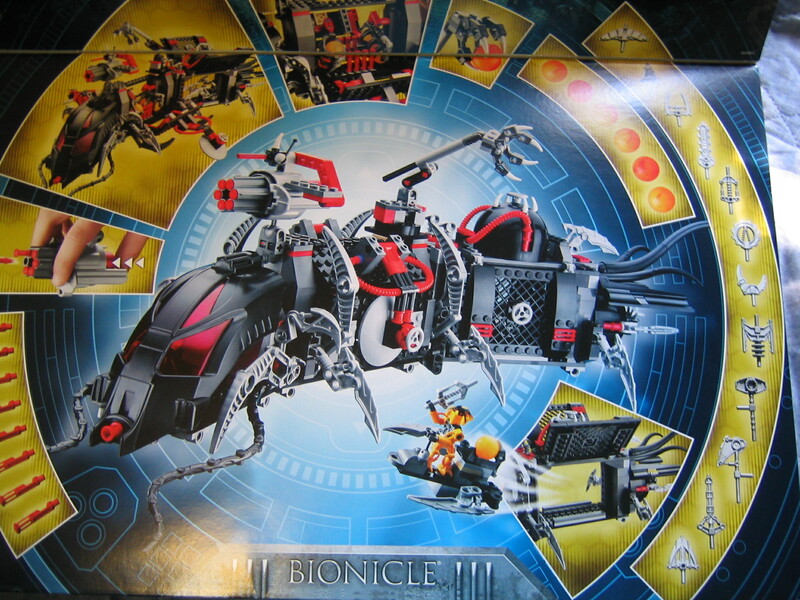 But if you must buy any of this year's BIONICLE playsets, for whatever reason, I suggest you make this set your top priority, don?t buy the cheaper ones if it's all you can afford, save your money and go for this one first I say. My thanks to Rapi/Simon for spellchecking this for me.